Most introductory geology students have experience identifying hand-sized rock samples in the lab, but never get to see bigger rock exposures outside the classroom. 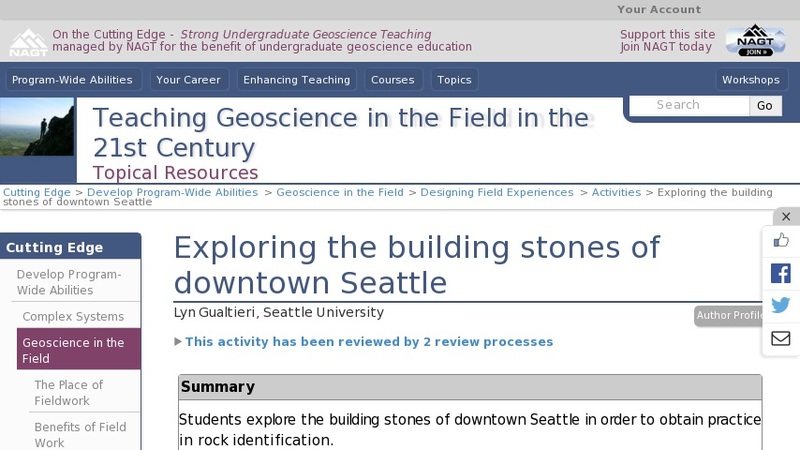 This activity includes takes students to downtown Seattle, where they observe the geology of the building stones within a few blocks of campus. The exercise exposes students to large, polished rock samples in an area where they are familiar, but might not have noticed the rocks before. For students on urban campuses or online geology classes with a limited amount of lab time this is a useful activity.